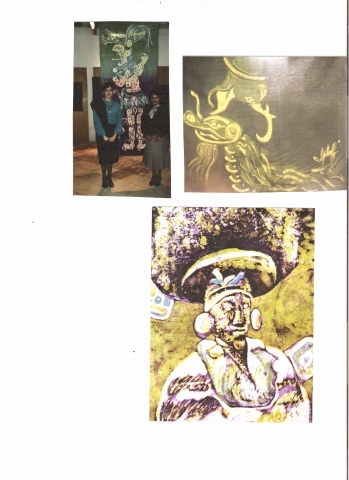 This was a series of Batiks made upon a research from the Archeologycal zone in Tlaxcala, México. This important place gathered several cultures and developed a "fusion" and important Cultural exchange between Mayas and Central regions cultures. Their great symbolism and colors inspired me to create this series.